Manage your next project to perfection with this powerful app. Keeping projects on track can be a pain, especially when you're trying to balance more than one at a time. Without proper management, important tasks can fall through before you ever get to them. Keep your plan on schedule and get things done more on time with Aeon Timeline 2, on sale for just $19.99 (approx. £14). It's nearly impossible for a single person to keep track of every part of a big project without a little help. Aeon Timeline 2 is the answer to your problems. 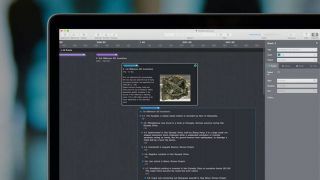 This timeline building app for Mac and Windows will handle the organisation for you, making it easy for anyone to manage a workload efficiently and get everything done on time. With this app, all the information you need is right at your fingertips, exactly when you need it. Aeon Timeline 2 usually retails for $50, but you can save 60% right now. That means you pay just $19.99 (approx. £14) for this tool that will help you get more done, so grab this deal today!